'Functional magnetic resonance imaging' allows computers to visualize what people are thinking about. 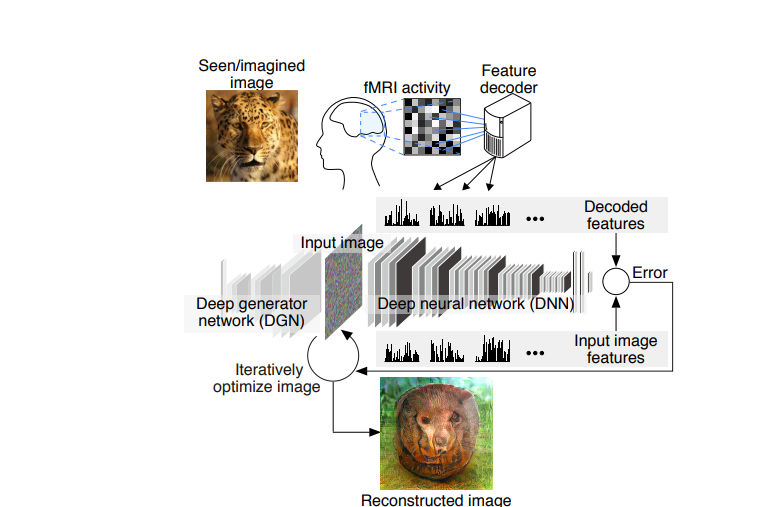 Scientists around the world are racing to be the first to develop artificially intelligent algorithms that can see inside our minds. The idea is not new: in the science fiction of the 1950s and 60s, crazed doctors were frequently seen putting weird contraptions on people’s heads to decipher their thoughts. British TV serial Quatermass and the Pit – in which such a machine is used to translate the thoughts of alien invaders – is a prime example. Now reality is catching up with fantasy. In the past year, AI experts in China, the US and Japan have published research showing that computers can replicate what people are thinking about by using functional magnetic resonance imaging (or fMRI) machines – which measure brain activity – linked to deep neural networks, which replicate human brain functions. While headlines around the world have screamed out that AI can now read minds, the reality seems to be more prosaic. Computers are not yet able to anticipate what we think, feel or desire. As science writer Anjana Ahuja remarked in the Financial Times, rather than telepathy, “a more accurate, though less catchy, description would be a ‘reconstruction of visual field’ algorithm”. Most of the research so far has been aimed at deciphering images of what subjects are looking at or, in limited circumstances, what they are thinking about. Studies have previously focused on programs producing images based on shapes or letters they had been taught to recognize when viewed through subjects’ minds. In other words, it could decode and represent an image it had not been “trained” to see. Meanwhile, scientists at Carnegie Mellon University in the US claim to have gone a step closer to real “mind reading” by using algorithms to decode brain signals that identify deeper thoughts such as “the young author spoke to the editor” and “the flood damaged the hospital”. 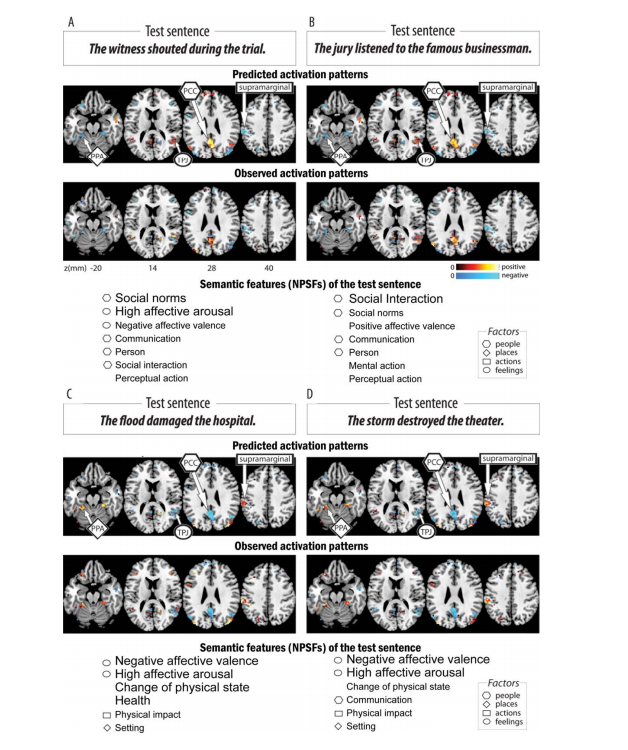 The technology, the researchers say, is able to understand complex events, expressed as sentences, and semantic features, such as people, places and actions, to predict what types of thoughts are being contemplated. After accessing the mental triggers for 239 sentences, the program was able to predict a 240th phrase with 87% accuracy. Marcel Just, who is leading the research, said: “Our method overcomes the unfortunate property of fMRI to smear together the signals emanating from brain events that occur close together in time, like the reading of two successive words in a sentence. The outcomes of such research promise much that could benefit humanity. The developments show we have come a long way since the fictional Professor Quatermass used a mind-reading machine to interpret the thoughts of Martians. Yes, there are fears we could develop killing machines that operate at the speed of human thought, but equally such advances could help those without the powers of speech or movement, and speed up multilingual translations, without the need for electrodes to be implanted in people’s heads. Many, including serial tech entrepreneur Elon Musk, are excited by the opportunities such technologies could bring to the lives of people with disabilities, but researchers and governments have yet to spell out how they can ensure these are used to benefit the human race rather than harm it. And, despite rapid developments here and in related areas such as gene editing and incorporating humans with computers, we are no nearer a global agreement of what ethical and moral standards are needed in this brave new world.